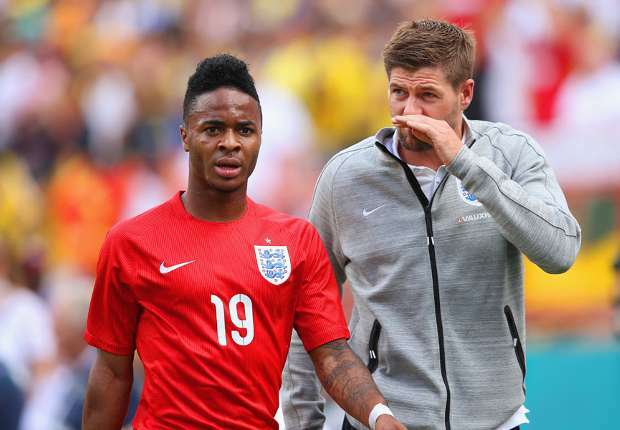 Steven Gerrard has called on Raheem Sterling to make a decision on his future as soon as possible and has urged him to remain at Liverpool. Sterling has already turned down Liverpool’s £100,000-a-week offer and there have been suggestions from his agent Aidy Ward that he will reject any offer that is put before him. Gerrard insist he does not know which way Sterling will go but he believes the England international risks becoming a squad player if he succeeds in forcing a move. “I wish I did know because I have been reading a lot about him myself,” Gerrard replied when asked about Sterling’s plans. “I think the only two people that know are Raheem and his agent. “I think for the player’s sake and for all of us fans out there he needs to make the decision quickly. “I hope he stays. I think for his development as a player he has a fantastic manager to look after him, a great set of team-mates. “I think it’s important he plays week in week out, keeps trying to learn and strive to become a world-class player.